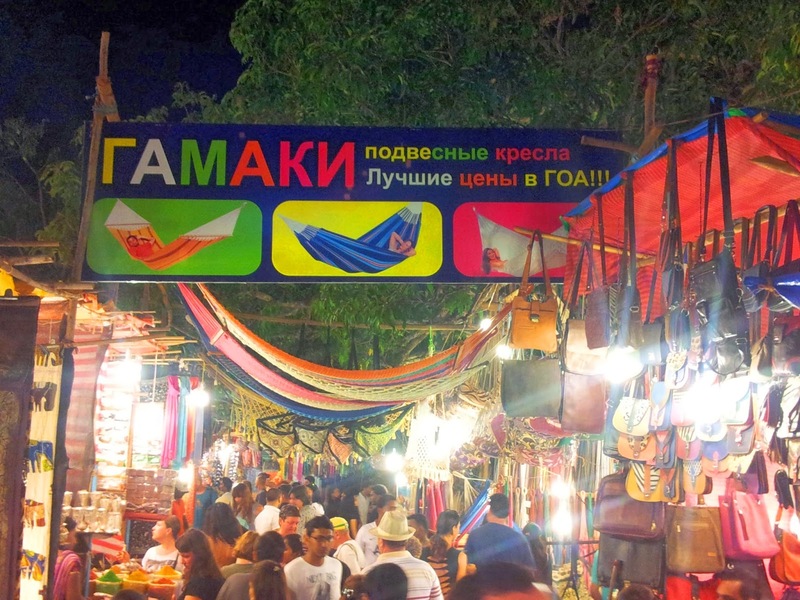 It’s Saturday, and the world is headed to Arpora, for the Saturday night market. And when I say world, I do literally mean the world, as in Indians, and Russians, Mexicans, Italians, Americans, Britishers, Taiwanese, and from a so many wonderful and exotic places, that your head starts reeling. 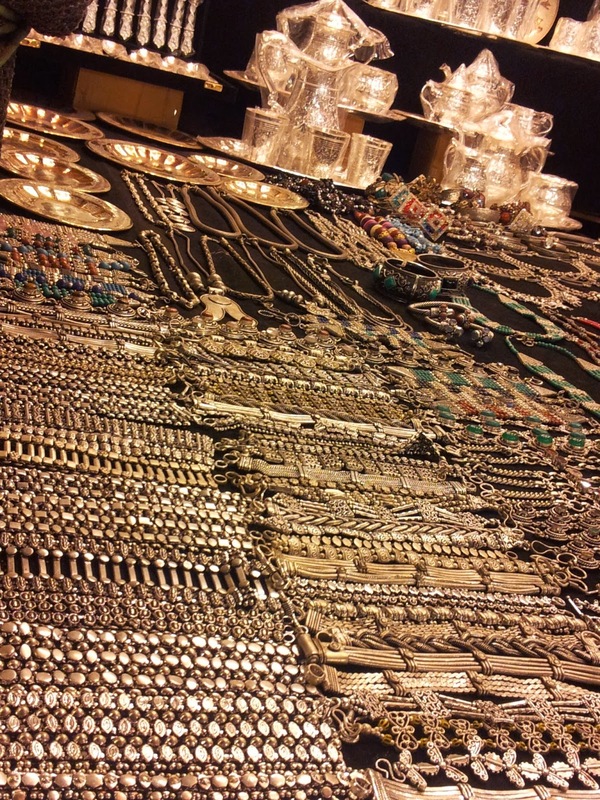 Saturday night market in Arpora, Goa is quite certainly the melting pot of food, fashion, accessories and people. This place can be a bit hard to find, and after a long winding path through unlit streets, supposedly leading to nowhere, I was quite frankly astonished at the LARGE number of people who actually find their way here. The market is huge, acres and acres of land which also has parking for vehicles, and yet, it’s crowded. There is literally a traffic jam trying to get to this place, even though they have enormous parking area, you still see cars lining the streets. Be prepared to walk some distance. The place opens at around 6 pm, and if rumours are to be believed ,goes on till 6 am. I would advice to get here early, around 8 pm, or the most 9 pm, because not only do you get parking space, but also to taste the amazing array of world cuisine, which starts finishing as the night goes on. The first impression of this place is kitch, almost like a great Indian circus. The colours and scenes are over whelming to the senses. 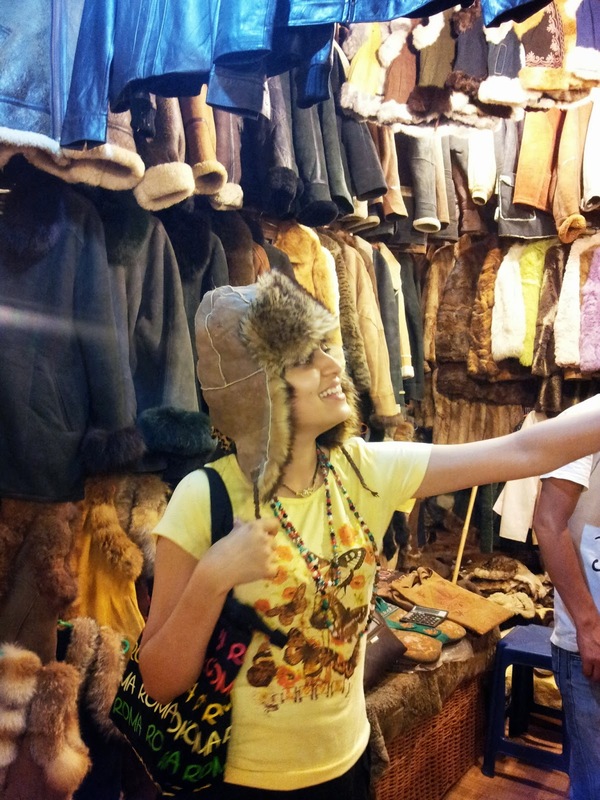 But walk around the stalls, and see colourful Indian artifacts, juxtaposed with Russian winter jackets, and ghetto chic leather studded jackets, and the place slowly grows on you. This place has so many sights, which you have never seen before that it is kind of hard to imagine that you are in India, or in any other part of the world. This place does not resemble any place, it stands out as a singularly unique experience. 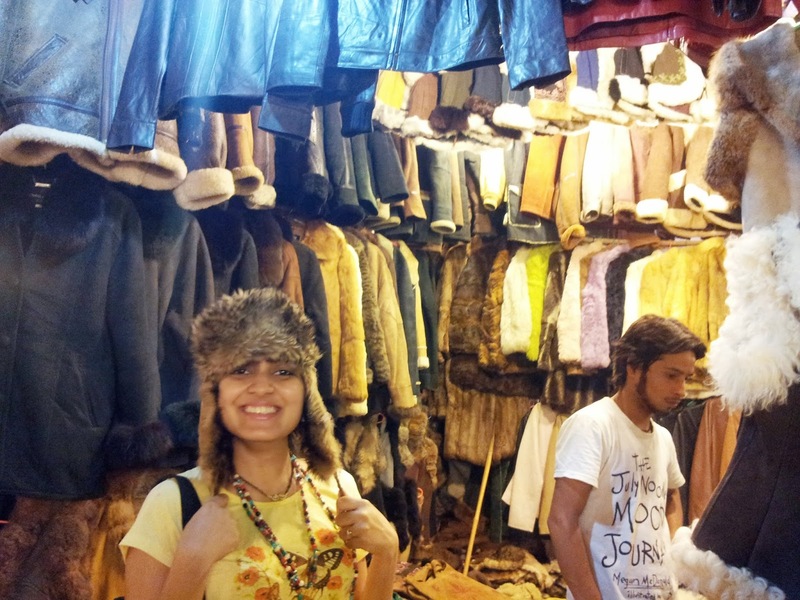 The mere ides of selling fur coats and faux leather jackets in the tropical Goa!!! an eclectic mix of Music and musicians. 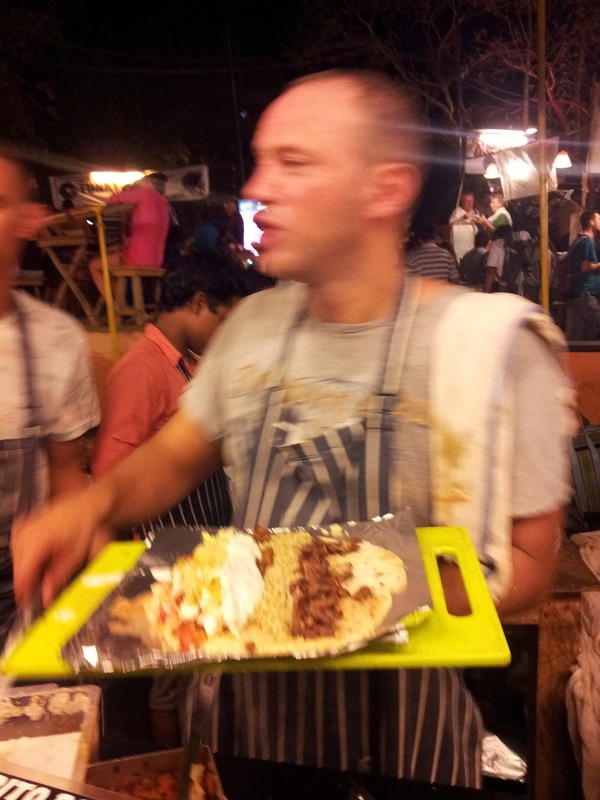 It’s hard to describe it, but I shall try in a few pictures and paragraphs, the essence of Saturday night market in Goa. 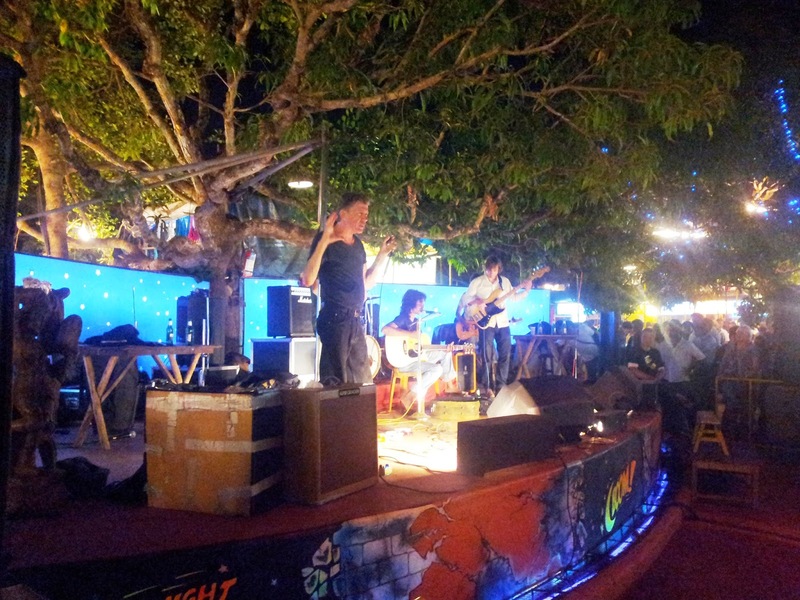 A flea market where locals and foreigners get to sell their wares, where local and foreigners get to sell their food, and there is a central arena, where musicians from around the world showcase their talent. Food ,music and shopping, take your pick. Lets start with the food. 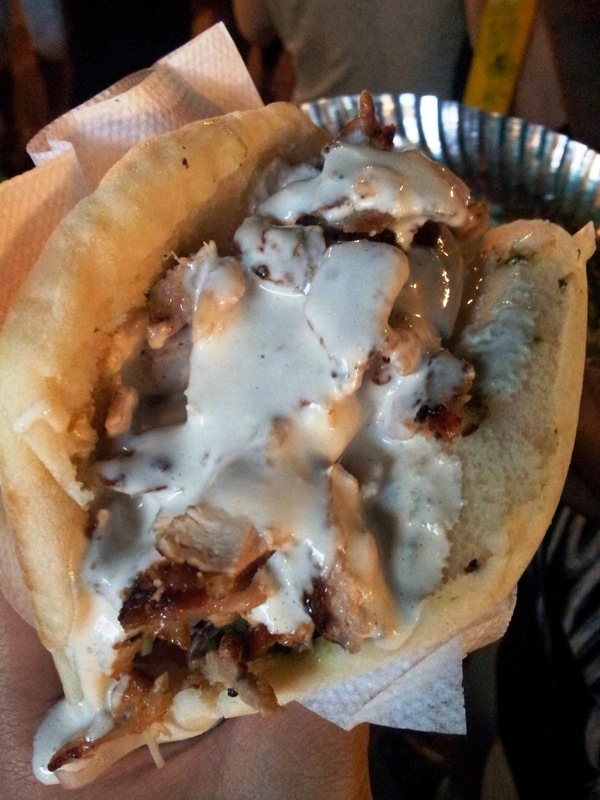 We had Shawarma, a lebanese street food, which was a generously portioned pita bread, stuffed with chicken and overflowing with Tahini sauce. 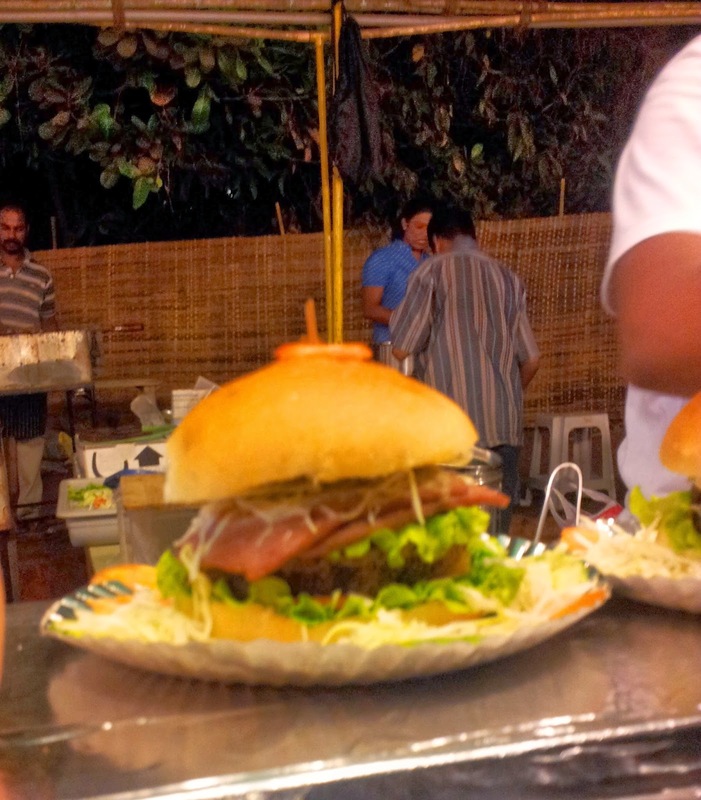 We tried the burger from the famed Thalassa in Vagator. 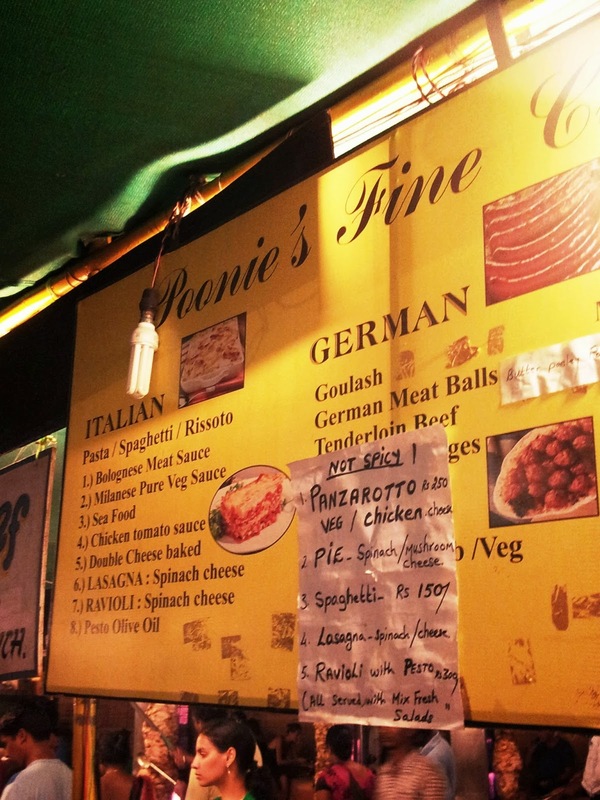 Thalassa has it’s restaurant in Vagator, and chances are that on a busy night you won’t get a reservation there, but if you still crave greek food, you can always head to the Saturday night bazaar. Infact a lot of famous eateries have their stalls here. 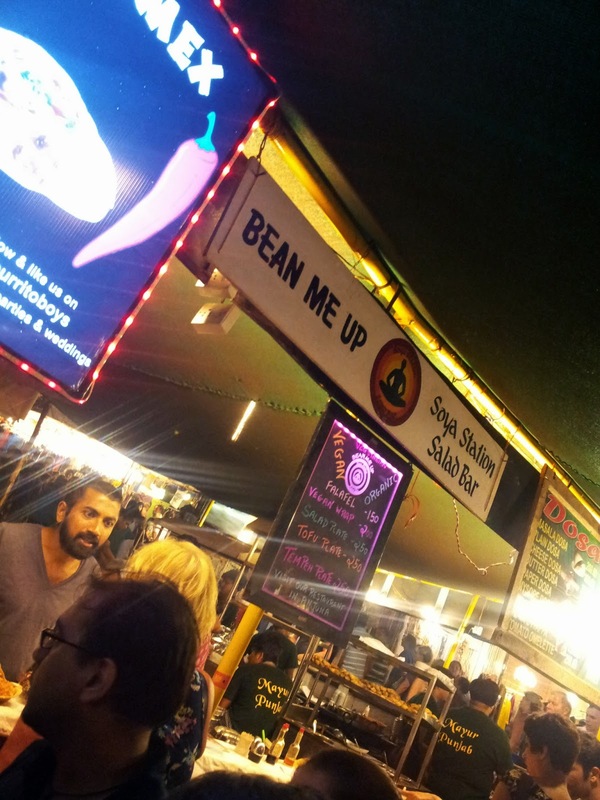 There is bean me up, a very popular vegan eatery, and it’s surprising how much people were enjoying their veggie delights. 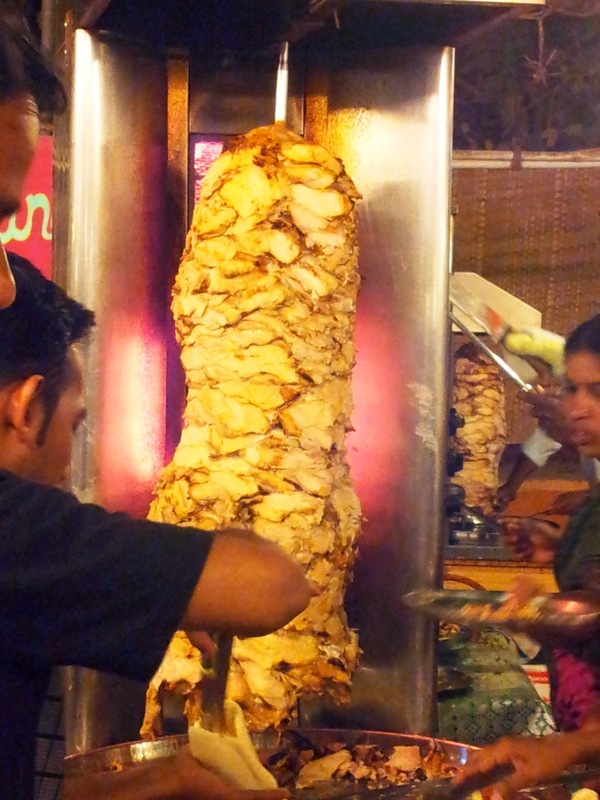 What I truly want to try next time, is the giant burritos from the tex mex place. But just looking at the guy behind the counter make one, was enough to make me feel full. We did try the sushi though. 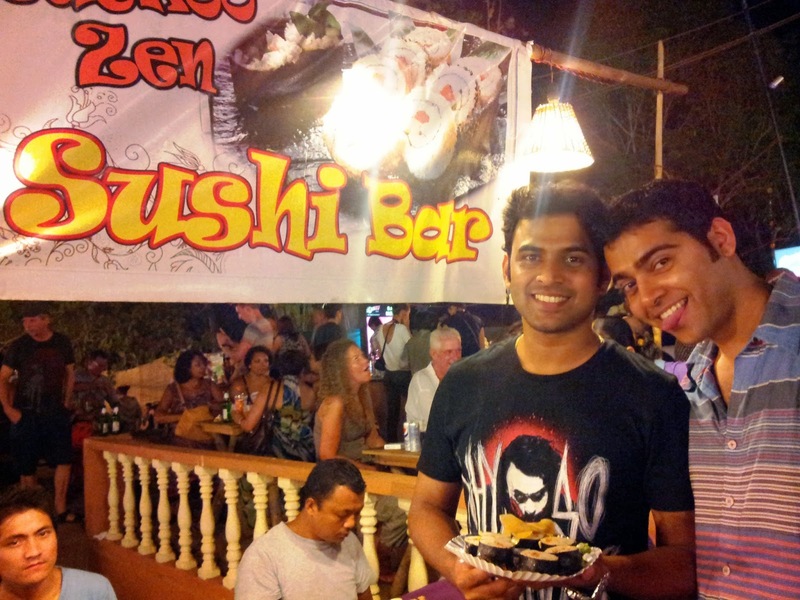 Just because it felt so exotic to be having sushi made on a paper plate in the middle of a busy market place. It came with soy sauce, pickled ginger, and some veryvery strong wasabi. 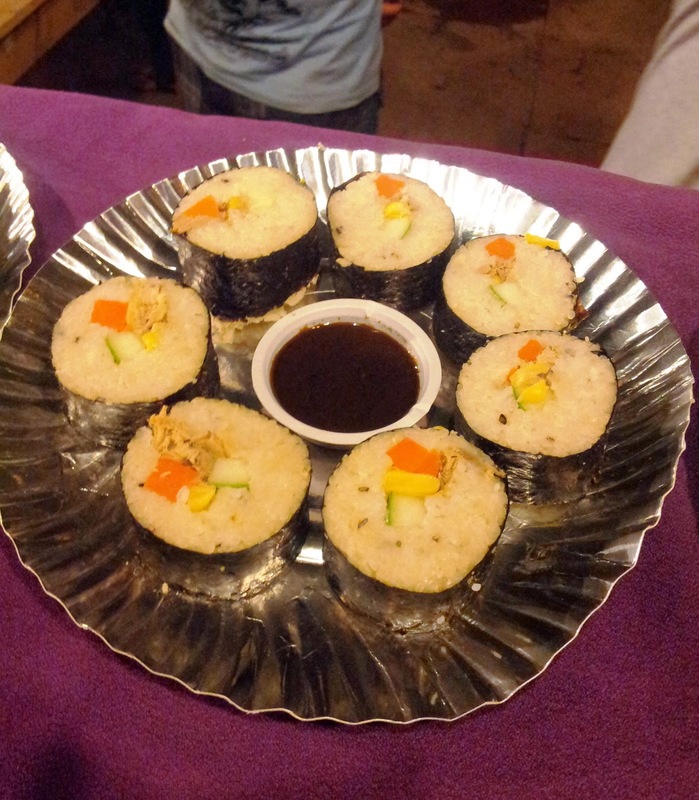 There was a place selling authentic thai cuisine, quite a few places for Indian kebas, and north Indian cuisine as well as Goan food. 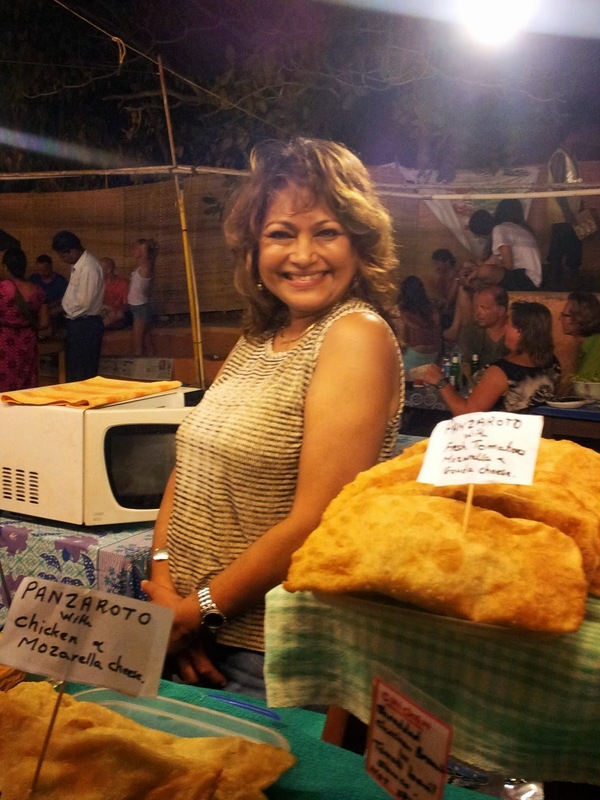 A cute lady selling her home made food which seemed hugely popular. When I asked her if I could take a picture of her she opened her hair and fluffed it up and striked a pose with a winning smile. tuna sushi, fancy food on paper plates. 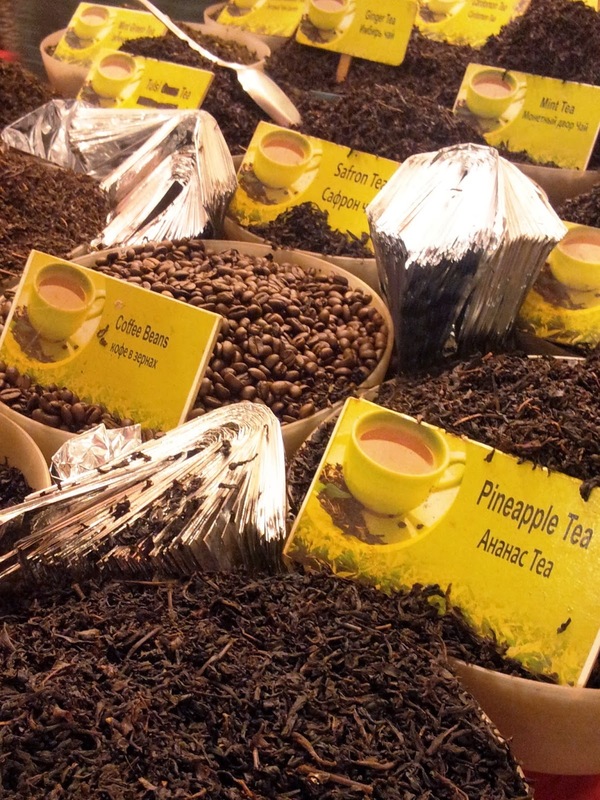 flavoured tea, what's your choice? But, not all were as obliging. A large number of stalls, did not want their wares photographed, I guess some of the wares were pretty unique and they didn't want anyone copying their designs. jewellery that glows in the dark, authentic looking native american head gear, you can find it all here. 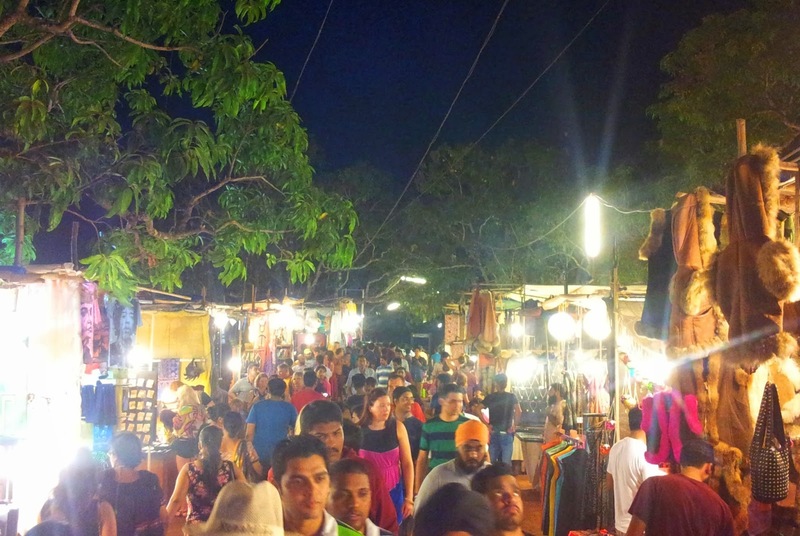 Even with the huge popularity of the Saturday night market, a lot of my Goan friends haven't been here. 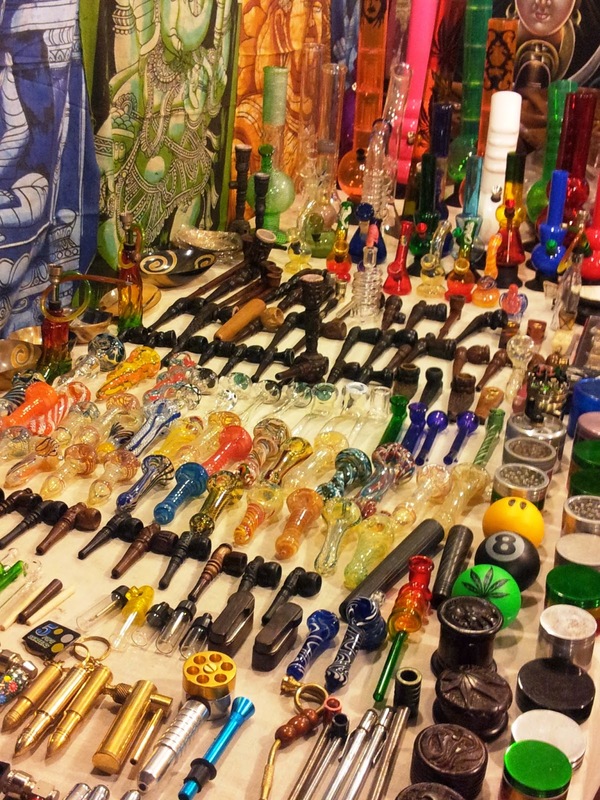 Many believe it's a place for druggies and hippies, 'unsafe for women', too much alcohol,selling over priced junk. Well there were boards all over saying this is a drug free zone, and even if it wasn't the over all feel was of a happy holiday mood, rather than hashed out junkies swaying to trance, yes a lot of the clothes seemed worse for wear but no one forces you to buy anything infact as the entry ids free, you could just go to have a good time and enjoy the food while not buying anything at all. about 50 percent of the crowd was Indian, coming from Bombay and Bangalore I guess since it was a long weekend holiday, they know that there isn't any place quite like it, maybe anywhere else in India. 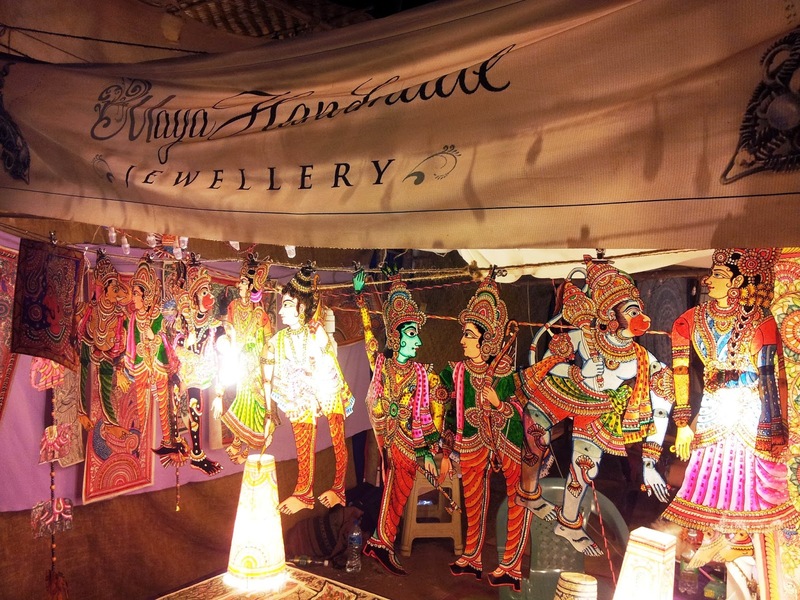 Words and images do not do justice to a place uniquely bohemian as this, so if you happen to be in Goa on a saturday during the non monsoon months between end September and early April, drop in to a market bazaar for a gypsy world enchantment. HERE ARE SOME OF MY MORE RECENT FABULOUS POSTS ON GOA ! A mayor wearing a festive red shirt addresses the city by saying “party till 12 midnight!” in a country where they have a 10 a clock curfew, Goa is vibrantly different and special. 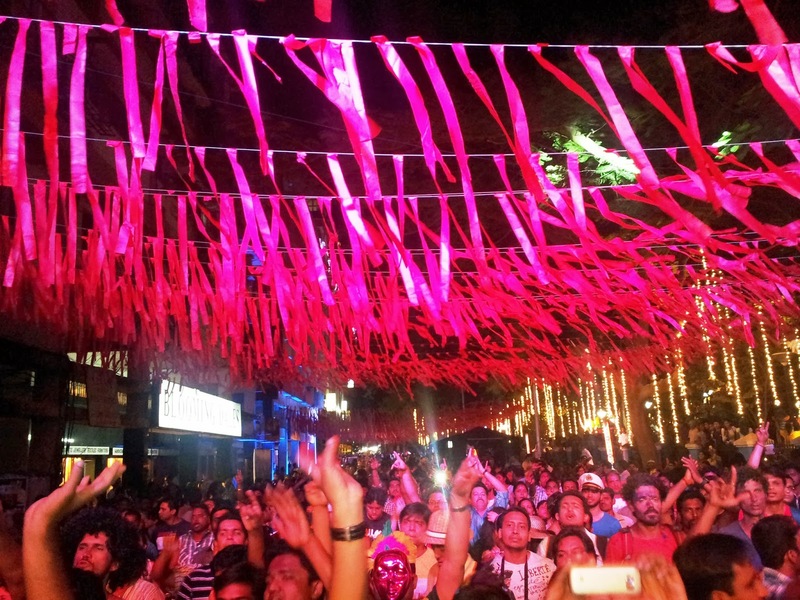 Streets filled with masked revellers, floating stages with social messages, and live music and dancing till late night, Carnival is a wonderful time to be in Goa. Carnival is celebrated a few days before Ash Wednesday, and before the beginning of Lent. Lent is traditionally a period of abstinence, and carnival is supposed to be the one large big bold festivitity before this. Its hugely popular amongst portugeses speaking nations, with Brazil and Portugal at the fore front of the festivities. 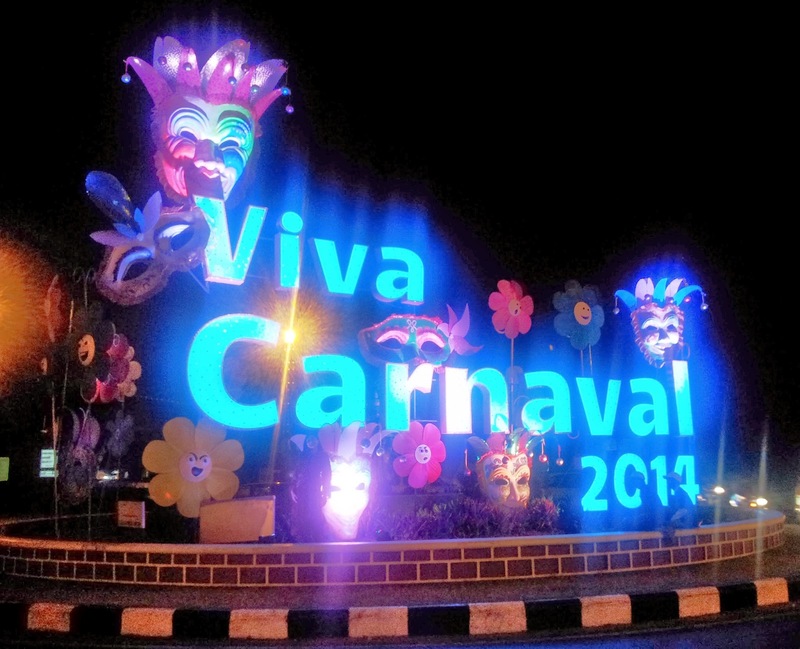 Goa is the only place in India that celebrates Carnival, making it all the more special. 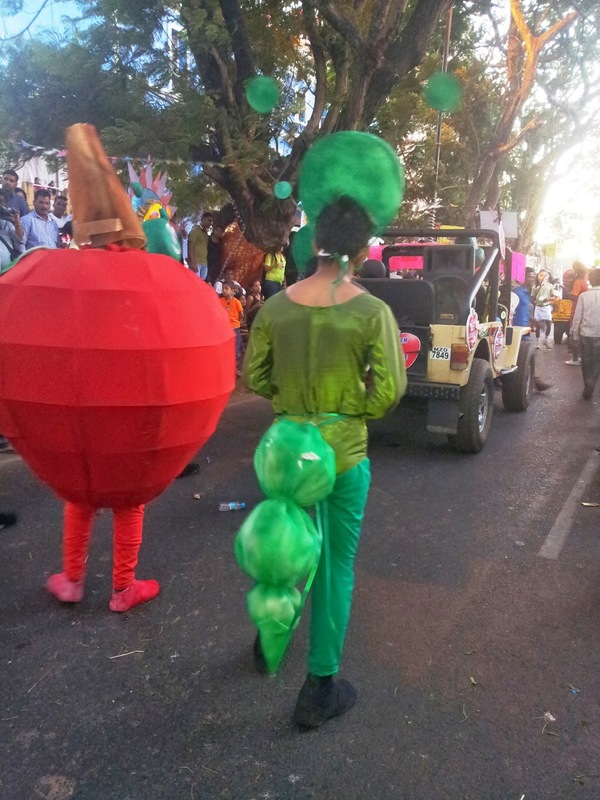 Here are a few glimpses of CARNIVAL 2014. 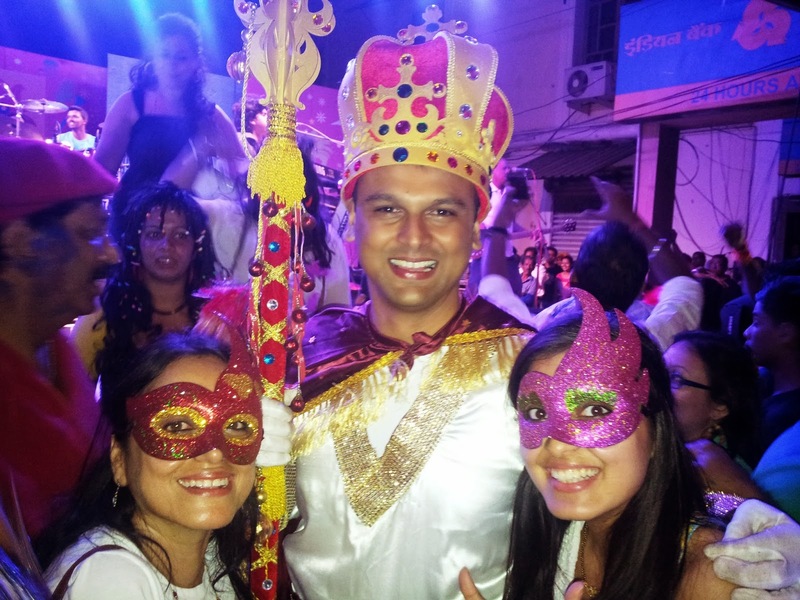 The whole of Panjim was dressed in party special attire. Street lamps wore masks, the island in the middle of the road had elaborate designs, and masks hung from trees. Just driving down the streets made one happy. 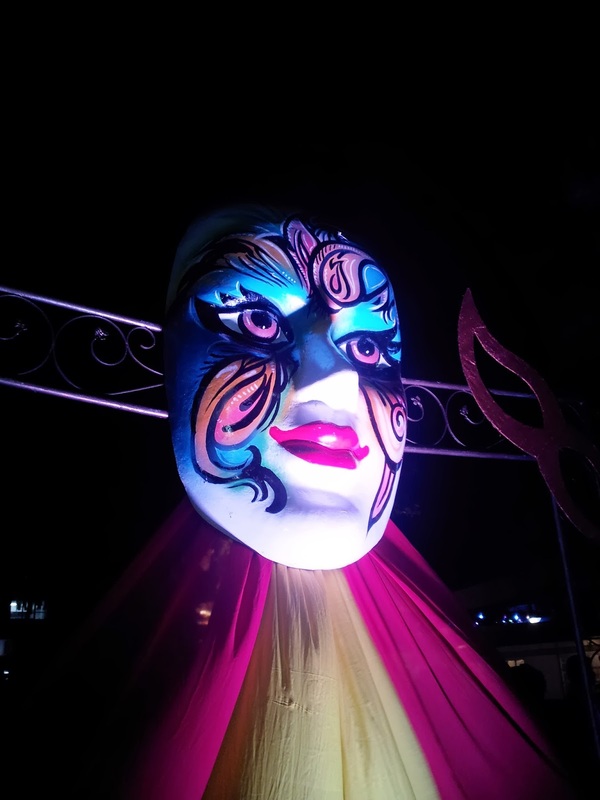 colourful masks in bright neon colours were the show stoppers of the celebrations. kudos to the craftsmen!! King Momo and his party subjects. King Momo is the official head of the Carnival revelry and he declares the Carnival open, and Flags off the Party mood. 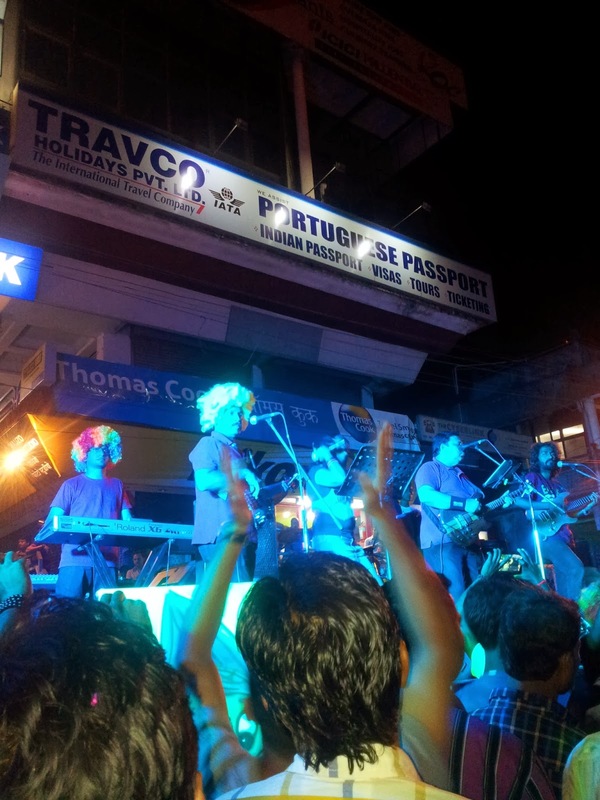 Samba street, a whole street in Panjim city dedicated to live music and dancing. the organisation was worth applauding. Even though the partying continued till midnight this was in an otherwise commercial area and no housing societies were nearby, also some of the famed eateries of Panjim could be seen serving food from kiosks, so you could pretty much eat the best that Panjim had to offer as you enjoyed the live music. 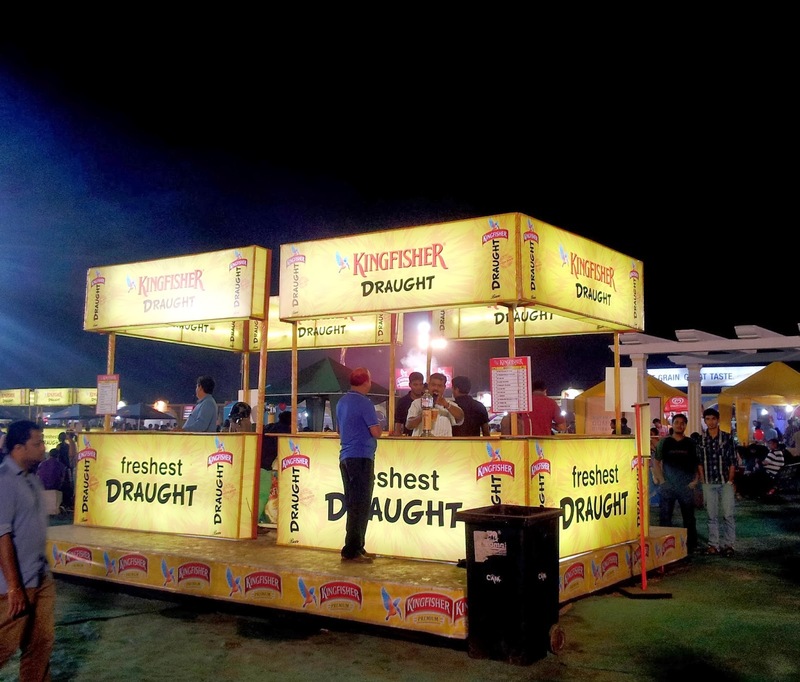 With Carnival in Goa, can liquor be far behind? 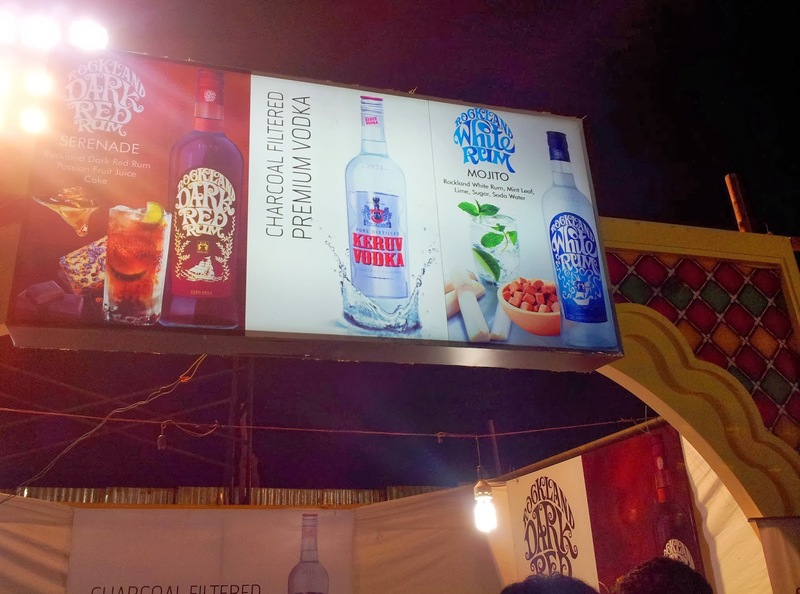 Brands of wines and whiskies and vodkas and Rum vied for attention at the Merces Food and Wine festival. Special offers and surprise gifts were up for grabs as you enjoyed your favourite tipple. Celebrating the Carnival spirit with the KING OF GOOD TIMES!!! and while you enjoyed, enjoy responsibly, there were dustins every few meters, and even though thousands were present at the grounds, the ground itself was litter free. Carnival or, carnaval, means giving up of flesh. Before the beginning of Lent, this time was traditionally a time for feasting. To stock up on all the meat, before 40 days of fasting. 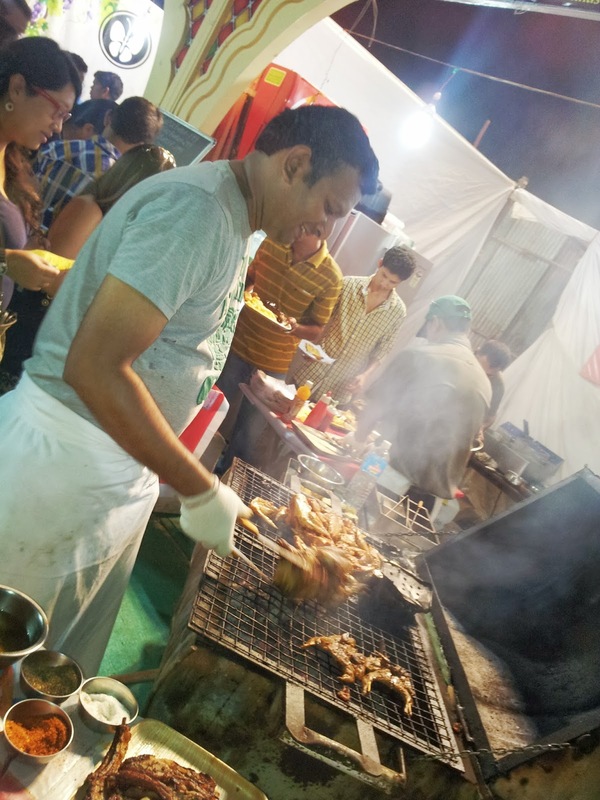 In keeping with tradition a large number of kiosks served up grilled meats, live counters of tandoors, skewers of Kababs hung to entice passing revellers. 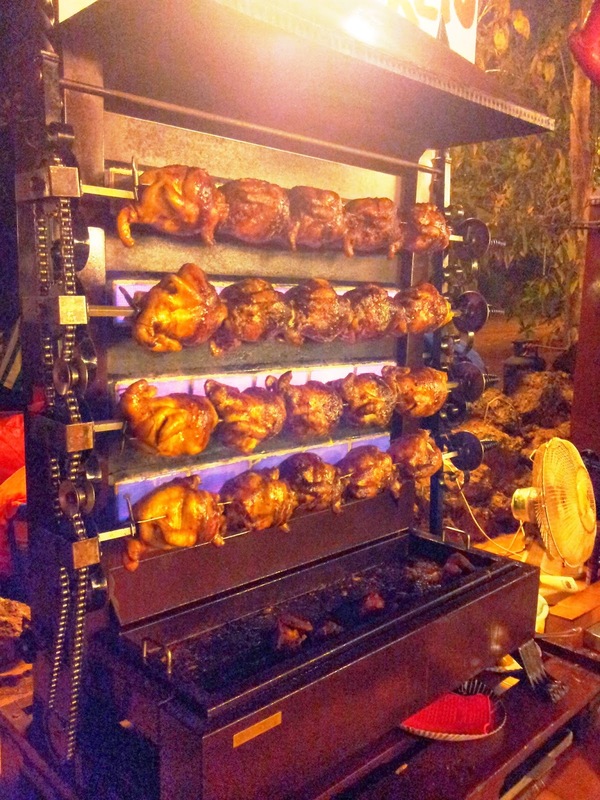 Everything from Roasted pork ribs, to barbequed chicken, to mutton kabas, and grilled prawns and mackerel were being sold. Live counters of cooking at the Merces Carnival Food and wine festival, were like a 4 D entertainment show, as we watched our dinner being cooked, the sound of sizzling meat and smell of barbequed meat filled the air. 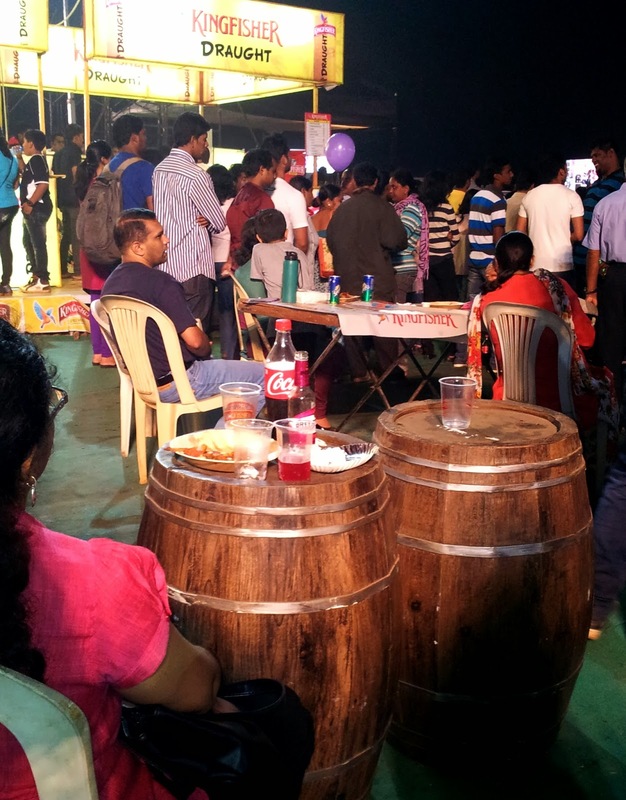 Artistic wooden barrels, were set up as tables, which showed the care and keenness of detailing that had gone into putting up this fun festival. The triple barbeque Burger from the Tin Tin kiosk, was just the way they show on travel shows on TLC, a succulent meat patty, crispy bacon, carmelised onions and lettuce with ranch sauce and BBQ sauce. Just YUMMMM!! The wonderful part of the food and wine festival was that well known restaurants from around the state had their outlets. 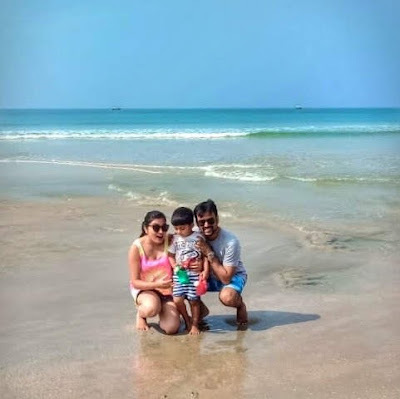 You could try the famous biryani of Shalimar, or the tasty pizzas from Kudos, the gelatos from bakehouse, and pretty much every well known food brand of Goa was present at one place. 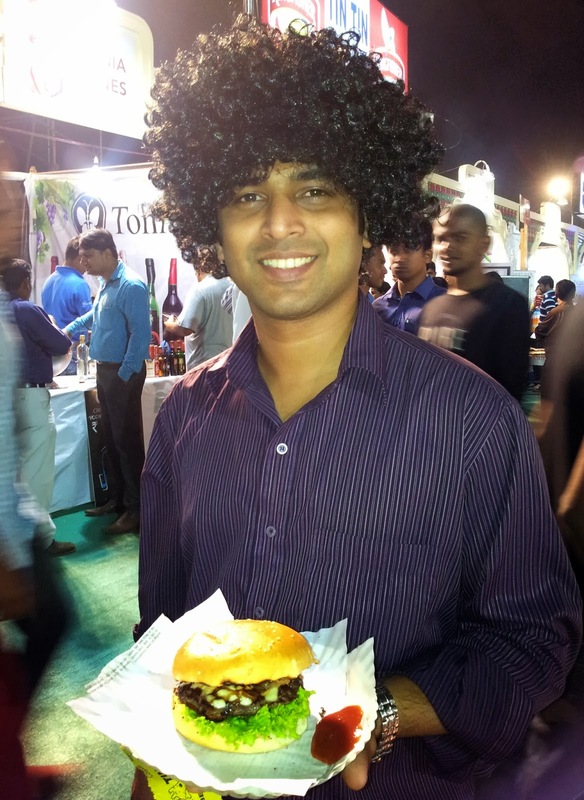 This burger was from Tin Tin, a much loved eatery in Vagator, it serves authentic American cuisine. 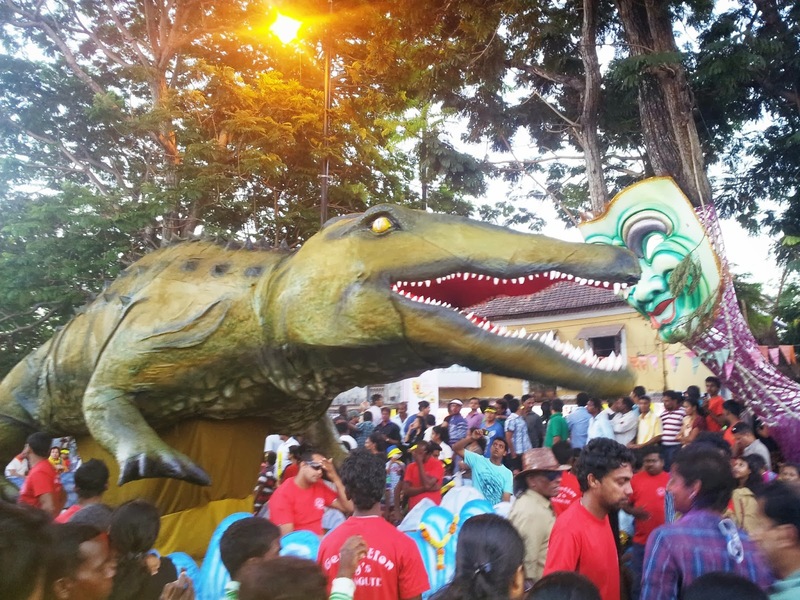 the road shows and floats were flagged off in the major cities of Goa, Panjim, Margao,Mapusa , and Vasco each city announcing prizes for the best floats. A large number of them had social messages, and this year women's empowerment ruled the streets. It's a wonderful landscape of the sociopolitical scenerio of a place. Colourful costumes can speak louder than words. 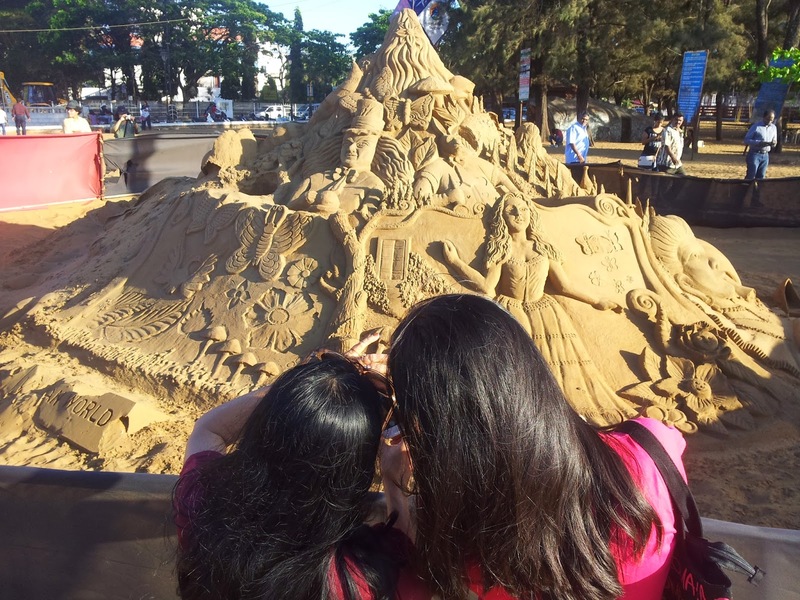 This year there was a distinct drop in the quality and extravagance of tthe floats and some of the locals speculated that it was becaus eof the shutting down of the mines in Goa. In yester years, the mine owners, used to patronise the carnival and give donations for the building of floats, now with scarcity of money and people losing jobs, the extravance of the floats were missing, nevertheless, the spirit with which the people continued to uphold tradition and culture is truly worth watching. The star attraction a spanish flamenco singer, dressed in a Sari Gown, which is a western gown inspired by the drape of a Sari, belted out R D burman songs as well as her famous song Senorita from zindagi na milegi Dobara. 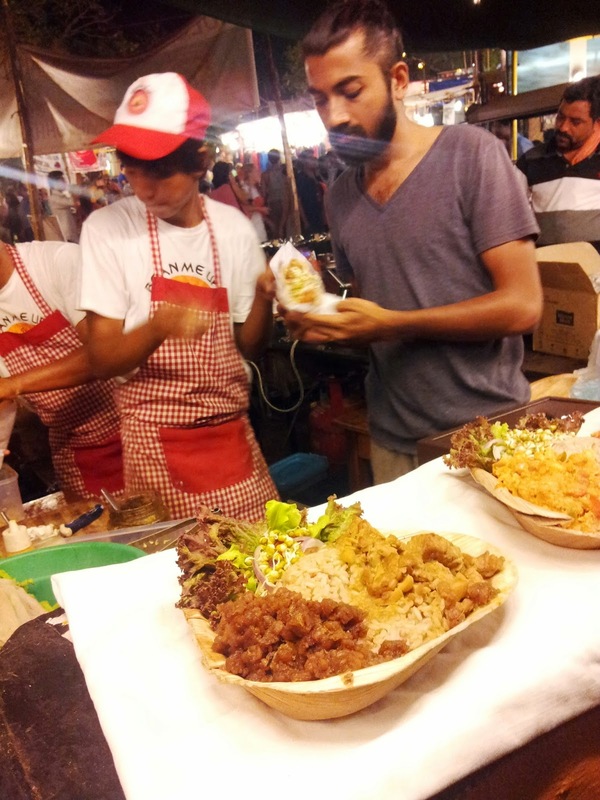 Restaurant style street food, served on disposable plates. 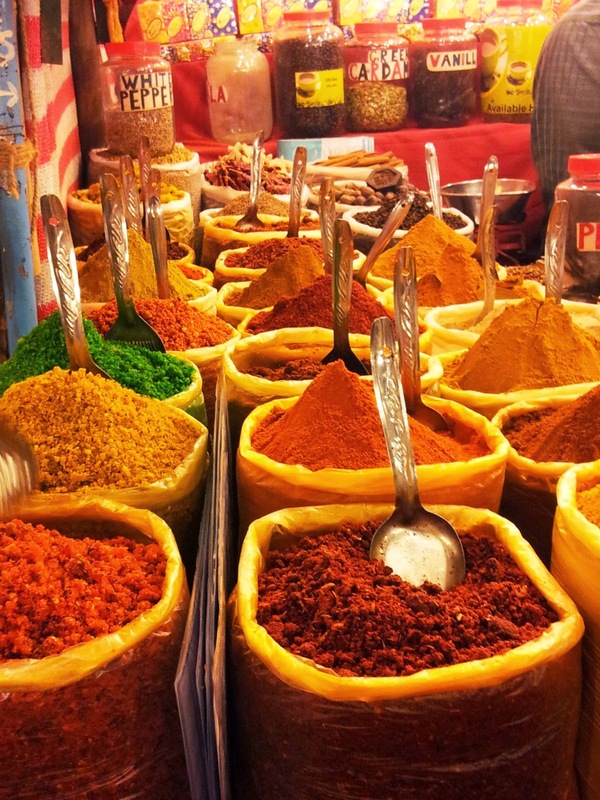 Here is your opportunity to try out the best that Goa has to offfer in terms of cuisine. And if you love the food, you can always check out the restaurants later. A great way of marketing your food. 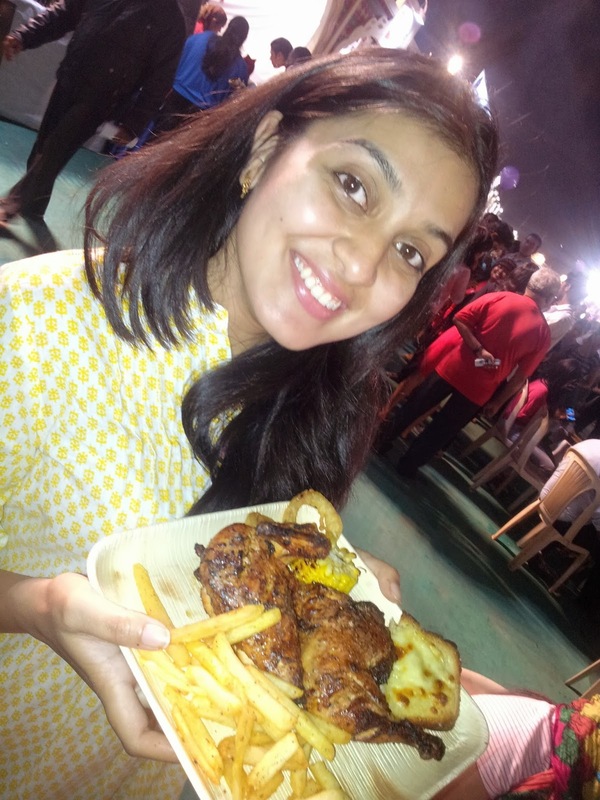 here is a typical barbeque night fare, corn on the cob,onion rings,potato fries,cheese on toast and texan chicken. Sand sculpture on the miramar beach depicting Alice in Wonderland as part of the Carnival festivities. balloons and families enjoying a wholesome and fun outing along with children. 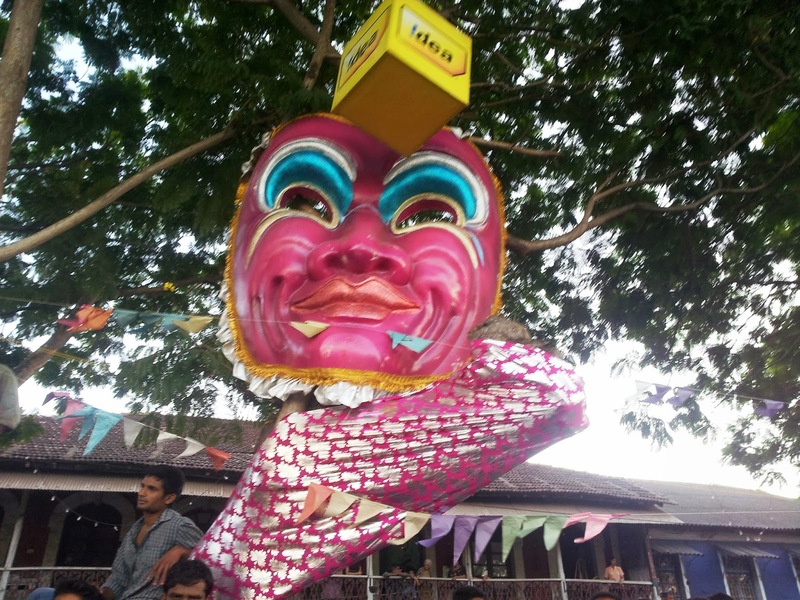 Many people believe that carnival is filled with Carnal activities and is not the best time to visit with children, but in Goa, it is an extremely enjoyable activity, where children enjoyed watching the floats, taking part in mask making contests and having fun! 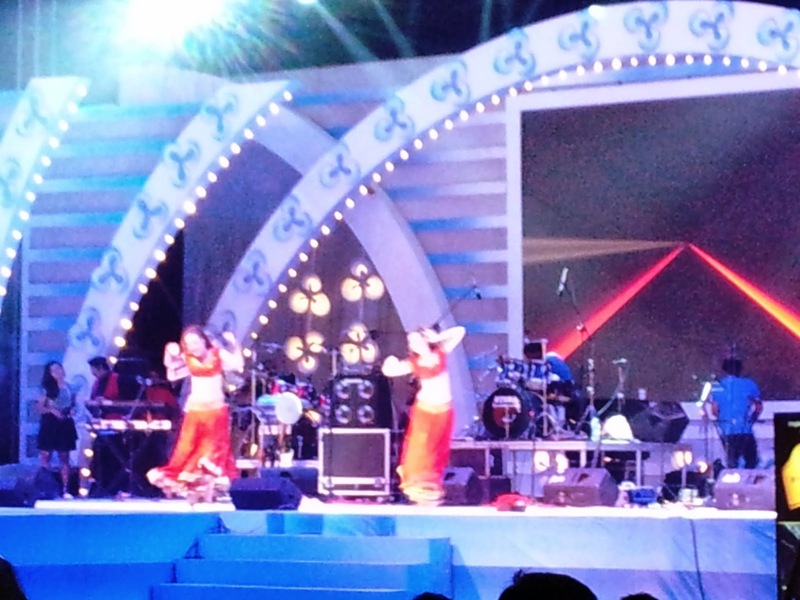 international dancers, dance to the tunes of Indian music. Russian girls in lehengas danced to Kajrare in a true bollywood style. Indowestern fusion entertainment. 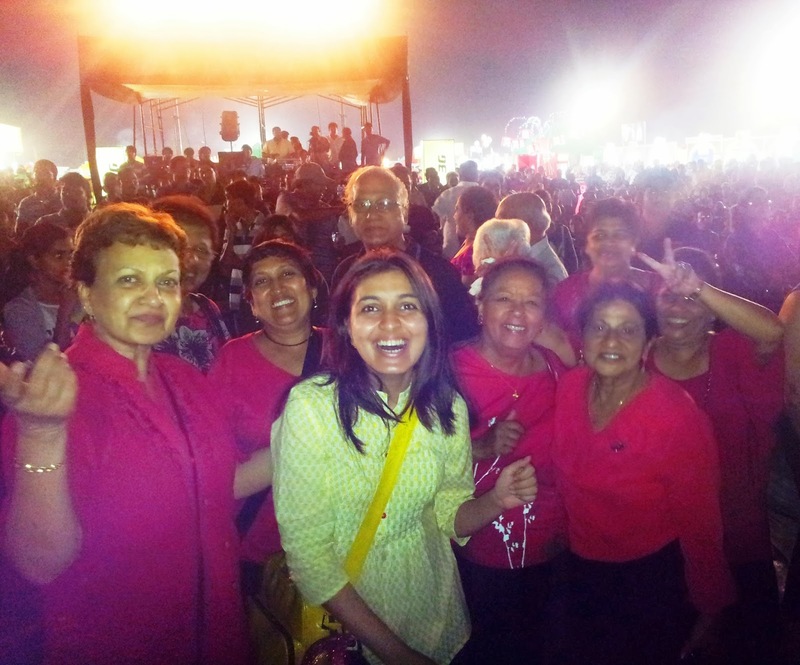 A group of Goan ladies, dressed in the carnival colours of red and black. Most people visit Goan for it's natural beauty, for the beaches and generally to have a good time in the sun and sea, the carnival gives tourists a unique opportunity to get to know the people who make this place, the culture and heritage in the form of floats, as well as have a great time with food and music. 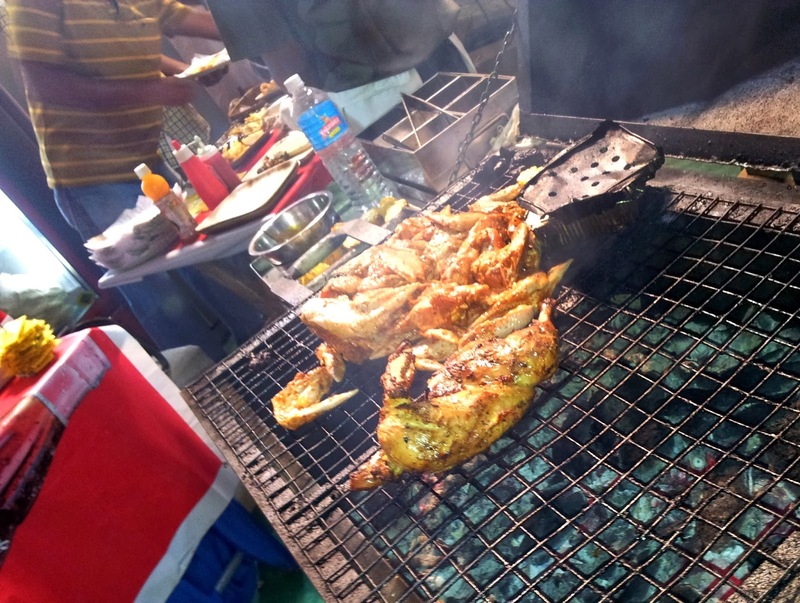 This foodie trail was not just about the food, but also about the ViVa Carnival flavour of the place. 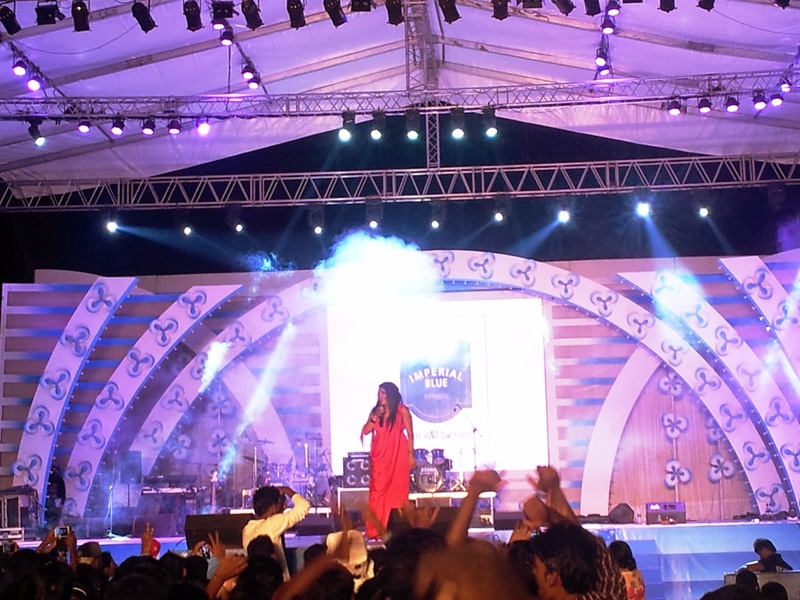 The Goa tourism did a commendable job of maintaining a festival of international quality entertainment as well as keeping both tourists and locals happy. Large masks and murals adorned the streets of Panjim, on the day that the floats went by, there were streamers and balloons, people littering the streets with banners and masks, but overnight the municipality cleaning brigade cleaned all the remnants of the reveleries and removed the hoardings, and by next day it was business as usual. I had dropped my napkin while trying to balance my tray of food and drink, a person from the organizing committee was quick to sweep down on the wayward napkin to keep the place completely litter-less. 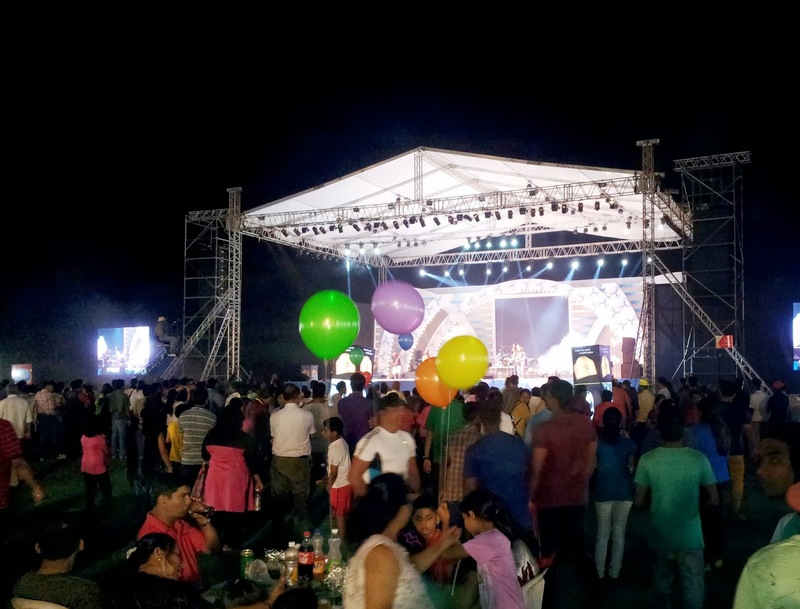 there was waste segregation at source with plastics, metals, food in separate waste baskets, even while maintaining a happy carnival atmosphere. Just goes to show that Goa takes it's entertaining and tourism seriously. Viva Goa! !